Who doesn’t love ringing in the New Year with sparkling wine? We’ve rounded up the best value, mid-range and bubble splurges to help you celebrate the end of the year in style. After all, it isn’t a party without bubbles! The holiday season is the perfect time of year to enjoy sparkling wine. I personally love being on the Champagne diet right on through the holidays to New Year's Eve. Nothing says celebration like some sparkling wine. And to keep those glasses flowing, you'll want something that is delicious and affordable. Not to worry, not all sparkling wine has to be high-end Champagne. You don't have to spend a fortune to enjoy scrumptious and festive bubbles when you ring in the New Year. In the value sector, you just can't beat Cava and Prosecco. Both are excellent alternatives to Champagne. Cava is a dry, crisp and delicious bubbly to serve when you are looking for something refreshing at a great price. 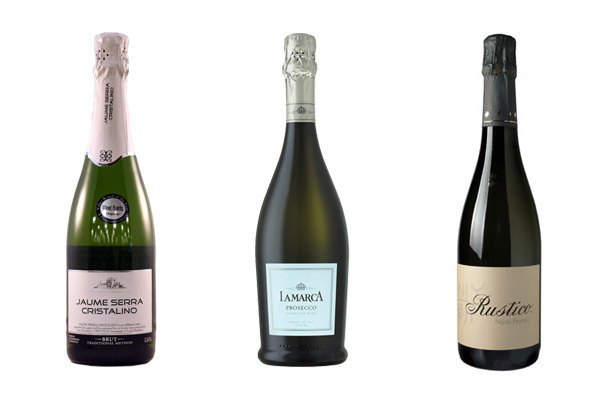 Prosecco is often more on the fruit-forward side, with ripe apple, pear and melon flavors. It's also a fabulous sparkling wine to just sip on for just the right price. 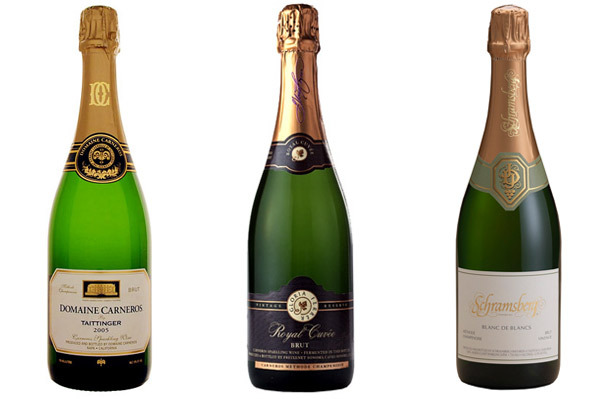 You don't have to travel half way around the world to get delicious sparkling wine. Domestic California bubbles, made just as Champagne is in the méthode traditionnelle, are affordable and very pleasing to the palate. The best part is that these domestic sparklers are within the $20-$30 price point. What better to ring in the New Year than with real Champagne! 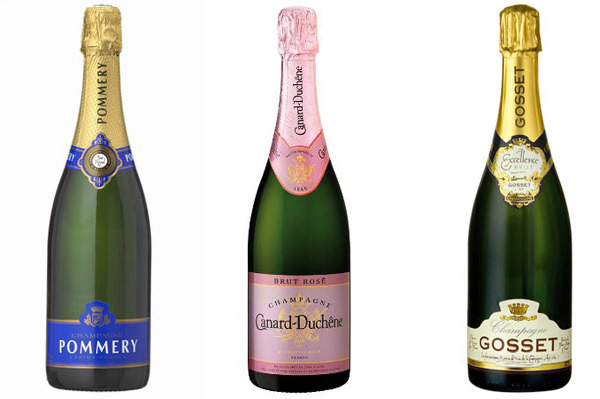 Yes, Champagne is a splurge, but that splurge can still be under $50 a bottle. Champagne is also wonderful with food. The acidity and texture of Champagne makes it a perfect match for a variety of food. So whether you are passing appetizers or having a sit down dinner to celebrate the New Year, serving Champagne is the way to go!